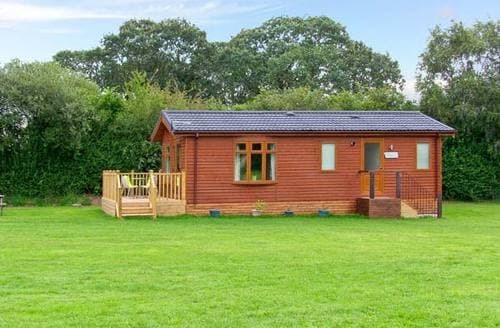 What our customers are saying about our Holiday Cottages In Market Drayton To Rent. 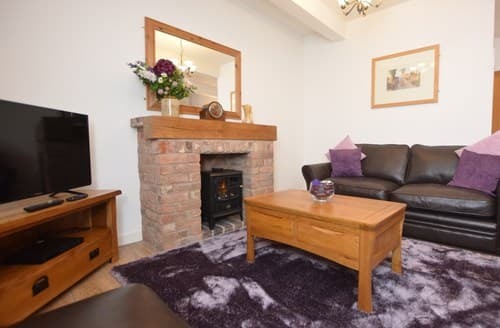 "This is a pretty and well-furnished cottage, set in a predominantly rural location, but close to a fairly busy A-road. 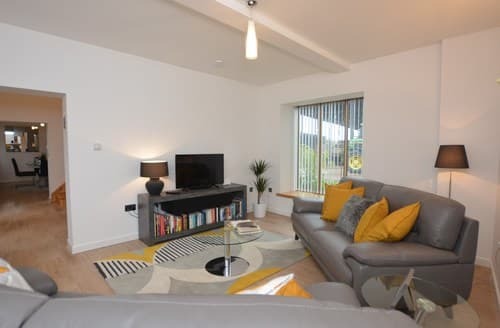 The 2 double beds are both proper doubles (rather than twins pushed together) and the facilities and living spaces will comfortably accommodate 4 adults or a small family. Any more and it would get quite cosy! The facilities are good; with 2 bathrooms, a decent shower, beds with electric blankets, a dishwasher and freesat TV being on offer (unusual for a holiday cottage to find all of these) and the kitchen was stocked with basics like teabags etc. The Wifi didn’t work inside the cottage the whole time we were there, however we never brought this up with the owners so it’s possible it could have been a temporary issue. The cottage itself was generally clean and tidy, though could have done with a bit of dusting in some areas (under the bed, behind doors etc). You’ll need to bring bathroom basics like handwash and toilet rolls. We didn’t do any fishing ourselves, but judging by the comments in the visitor’s book there is plenty there to catch. The view over the small lake is lovely, especially first thing in the morning. However I’m not sure how relaxing an alfresco meal by the water would be, given the volume of traffic noise from the road. This is perhaps not the ideal location for those seeking total seclusion or for very light sleepers. Those sleeping in the 2nd bedroom will need to be prepared to deal with the noise from the extractor fans in both bathrooms, as they are fairly loud and one runs for several minutes after switching off the lights. Either that or be prepared to conduct your night-time bathroom visits in the dark! 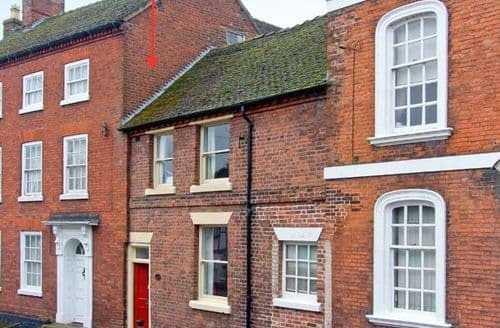 In terms of attractions, the cottage is within 40 mins of Shrewsbury and 1 hour of Chester, both of which are very picturesque; provide good shopping, eating and pleasant walks. The smaller town of Market Drayton is closer, but doesn’t offer much in the way of entertainment (apart from the Hinds Head Inn which is located in one of the neighbouring villages and does excellent food – very much deserving of its #1 spot on trip advisor). Rosehill appeared to be very sparse in terms of population, though we did see 1 or 2 local pubs within 5 mins drive of the cottage. We only stayed for 3 days so didn’t get time to visit any of the other local towns or points of interest, as there are many to choose from. We found a couple of good walks, but did need to drive to get to the set-off points. 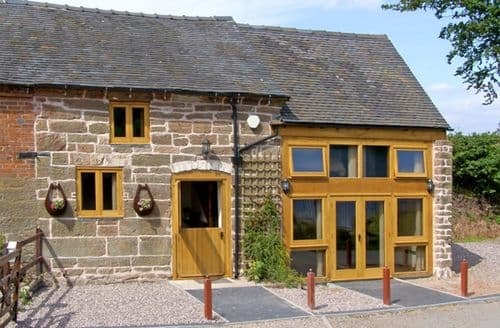 The local chip shop garnered a number of positive comments in the visitor’s book, though again we didn’t try it ourselves, but we did have breakfast on the last day at the Farm Shop at Fordham, which was excellent." "The most difficult thing to contend with was that apart from a relatively small decked area at the back, there was no secure place for dogs to use for toilet purposes first thing in the morning and in the evening. Although it was clear that this was a farm and dogs had to be on a lead because of this, it would be extremely easy for a secure area to be outside the front of the property as there was a lot of area which could be used. The kitchen, which is very big, and items in it were not clean and until we bought them, there was no dishwasher tablets, rinse aid, hand wash, washing up liquid etc available. At least four of the mugs in the kitchen had chips around the rim. There were a few empty plastic containers with next to nothing in them. There were quite a few small issues, batteries not working, lightbulbs not working and the shower continually dripped. S6610 was huge and has the potential to be a really lovely place to stay and it was a shame that these issues rather tainted the stay. The location was fine as we had visits to make both in Wales and further in Shropshire." "S6610s is a bit like a tardis. The outside looks good, but inside it is stunning. 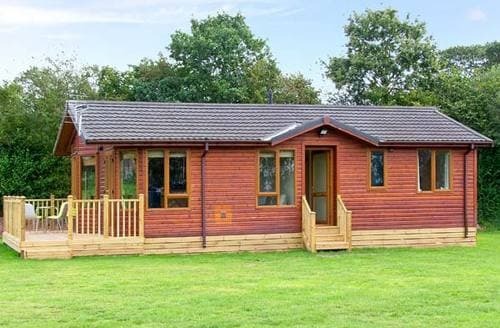 The entrance hall has a day bed which pulls out to a double bed, the utility is huge with washer, tumble dryer and a selection of irons plus lots of extra bedding. The sitting room is huge and looks out on the paddock with a friendly donkey and pair of Shetland ponies. The kitchen is large and well equipped with patio doors that lead out to a paved area with picnic bench and barbecue. The master bedroom is stunning, with exposed wooden beam and plenty of room in the second double bedroom and single bedroom. We have 2 dogs and normally struggle to find places to stay. S6610s is by far and away the best rental we have found.Thoughtful touches such as games, books and dvds being available, plus the friendly farm dog Sid who greeted us every day were an added bonus. Would thoroughly recommend to anyone. Amazing." 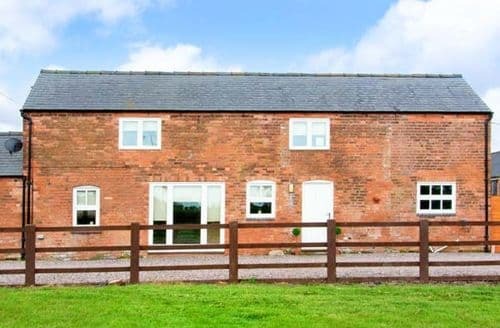 "Although it was clear that this was a farm and dogs had to be on a lead because of this, it would be extremely easy for a secure area to be outside the front of the property as there was a lot of area which could be used. The kitchen, which is very big, and items in it were not clean and until we bought them, there was no dishwasher tablets, rinse aid, hand wash, washing up liquid etc available. At least four of the mugs in the kitchen had chips around the rim. There were a few empty plastic containers with next to nothing in them. There were quite a few small issues, batteries not working, lightbulbs not working and the shower continually dripped. S6610 was huge and has the potential to be a really lovely place to stay and it was a shame that these issues rather tainted the stay. The location was fine as we had visits to make both in Wales and further in Shropshire."